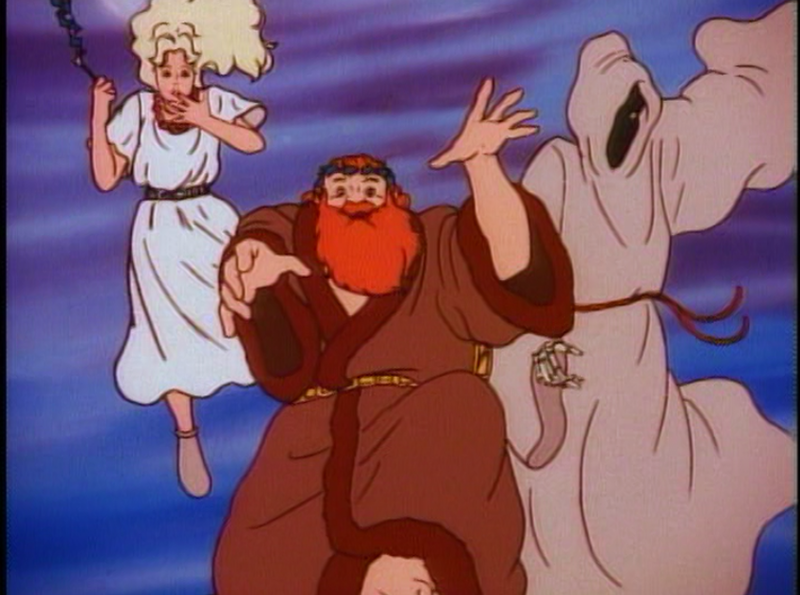 Airing on December 13, 1986 on ABC’s Saturday Morning as the first season finale and 13th episode… making this the 30th Anniversary of not just the episode but of the Real Ghostbusters Cartoon…. X-Mas Marks The Spot sees The Ghostbusters returning from up-state New York, where Ray apparently zapped someones cat… they come across a fork in the road which they did not notice before and on a hung from Egon take a wrong turn… Ecto-1 stalls and so the boys head out to try and find someplace to make a call… and we learn that Peter doesn’t particularly care for Christmas because his father was always away during the holidays. 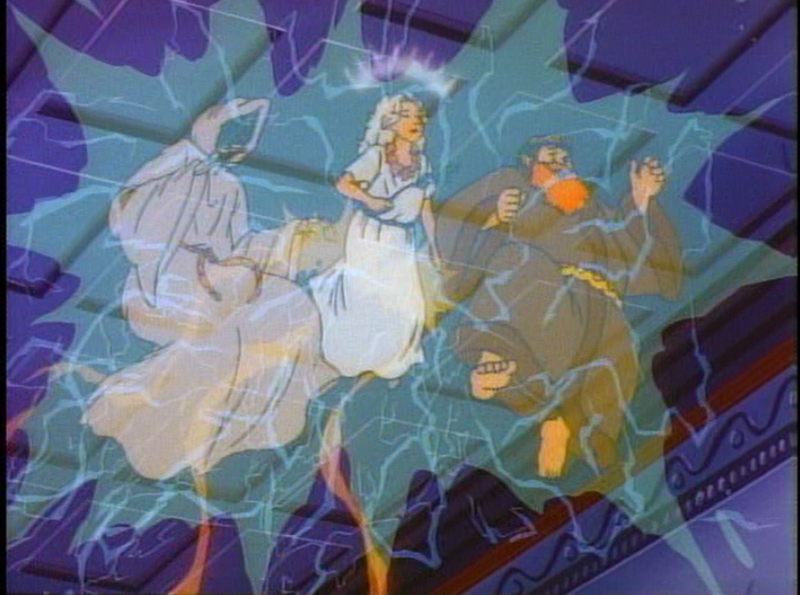 This is an important detail of the episode, as it turns out this entire series of events is for his benefit… for the Ghostbusters come across a time slip and are sent back to the 1800s… the time of Ebeneezer Scrooge and arriving just as Jacob Marley is leaving his former business partner’s house and as the Ghosts of Christmas’s past present and future arrive. 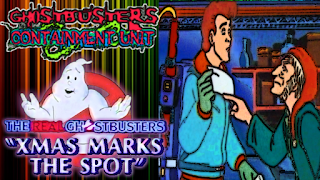 The Ghostbusters, not knowing what is going on, rush up to bust the Ghosts… helping Scrooge in the process and destroying Christmas in the process. 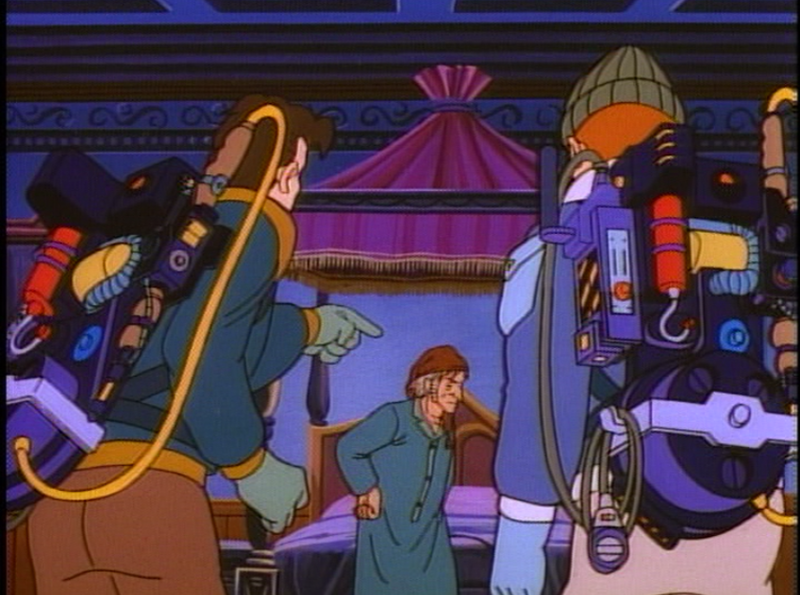 A plan is quickly formulated, Egon will go into the Containment Unit to get the Ghosts out while Peter, Ray and Winston will go back in time to fill in as the 3 ghosts in case he fails. 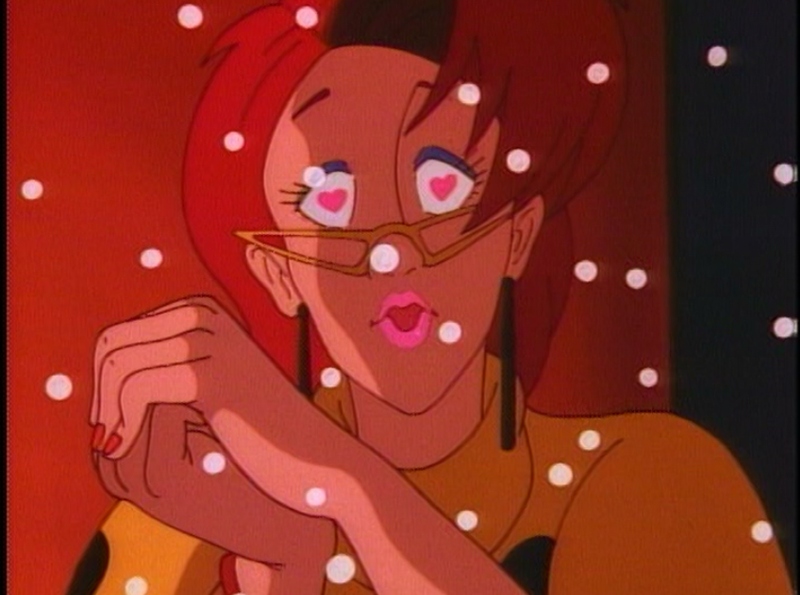 In a great moment, Janine’s love for Egon motivates her to help him and monitor his progress while he’s in the Containment Unit, which is filled with all the Ghosts seen in the animated series up to this point… including the Sandman and Samhain. 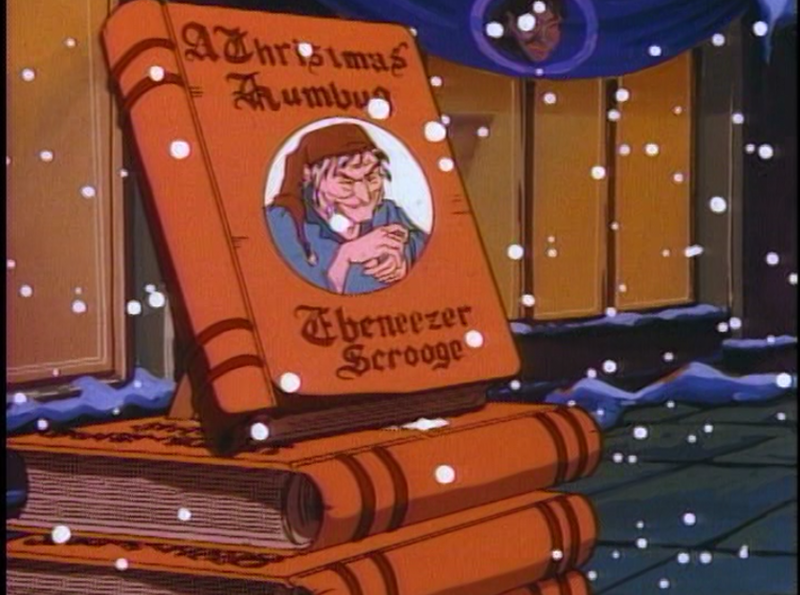 As you can probably tell by my summary of the episode, this opens up a few things about the Ghostbusters that the events of A Christmas Carol are apart of historical events in their history, and its possible Scrooge writes it under the pen name of Charles Dickens, plus the ending reveals that Santa is real as well. 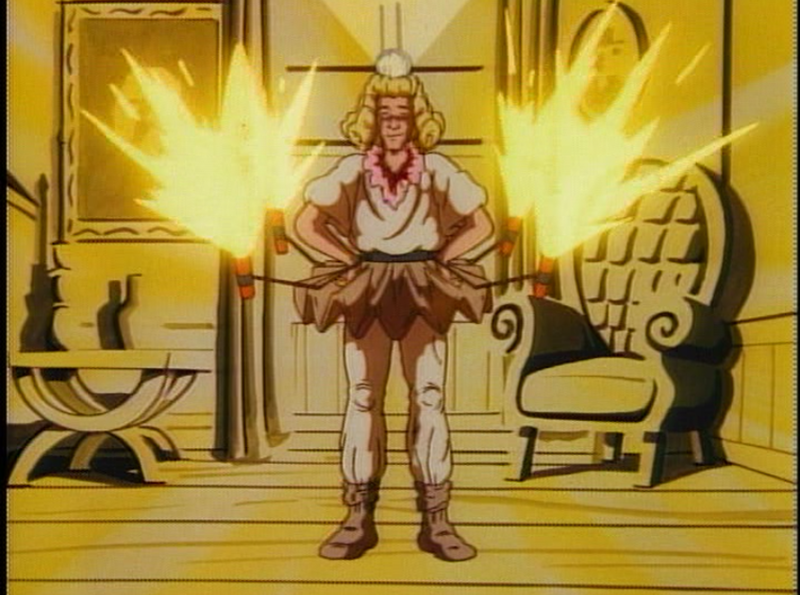 This episode is also notable for getting everyone involved and while it is a ‘Peter-episode’, it’s not totally obvious it’s about him. The animation is really damn good in my opinion, and though the effect of the snow falling when out doors can be a tad bit distracting, it doesn’t hide the how gorgeous some of the backgrounds look, particularly when things are set in Scrooge’s time with the sky colored brownish do to all the smoke coming out of chimneys. 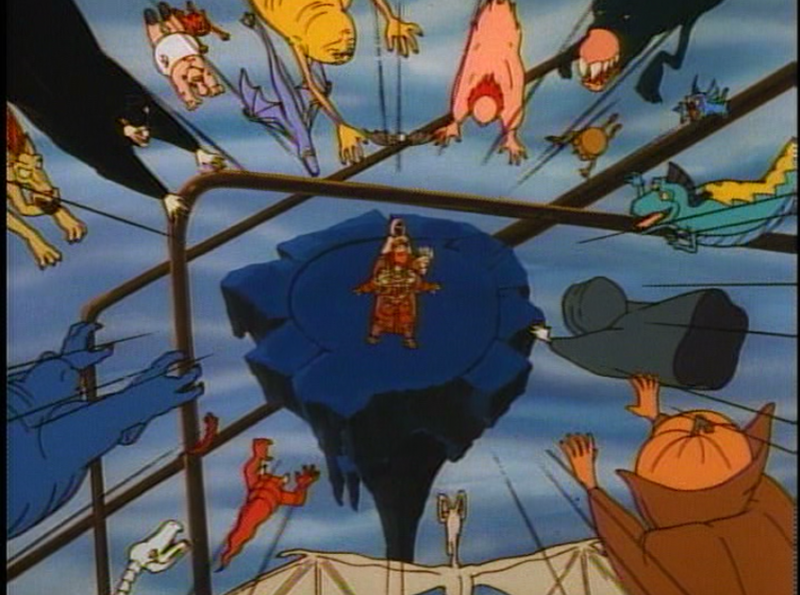 The interior of the Containment Unit as a hellish dimension is just wicked, with the cloud swirls and various structures. 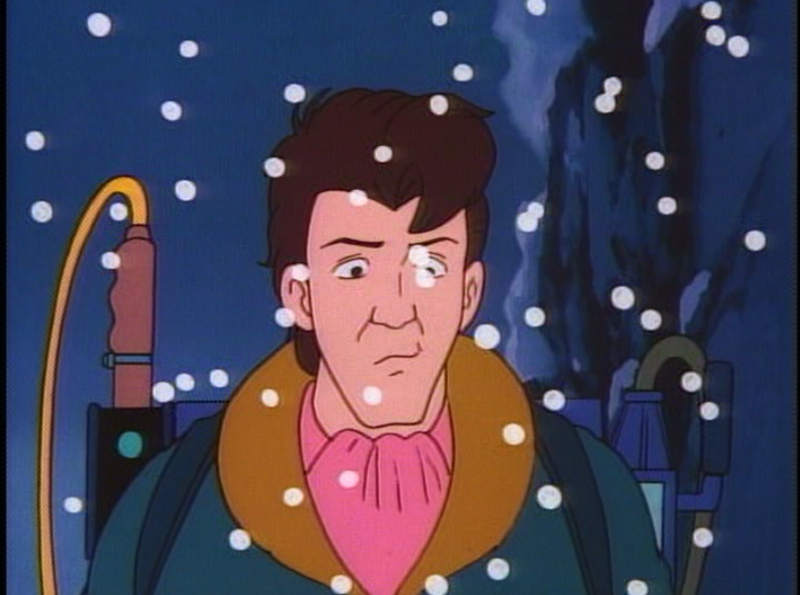 That said If you’ve never seen X-Mas Marks The Spot, I highly suggest you do, it is on volume one of the Real Ghostbusters DVD set put out by Time-Life several years ago. At the time of this recording (December 24, 2016), Crackle does not have it up with their current rotation of RGB episodes. 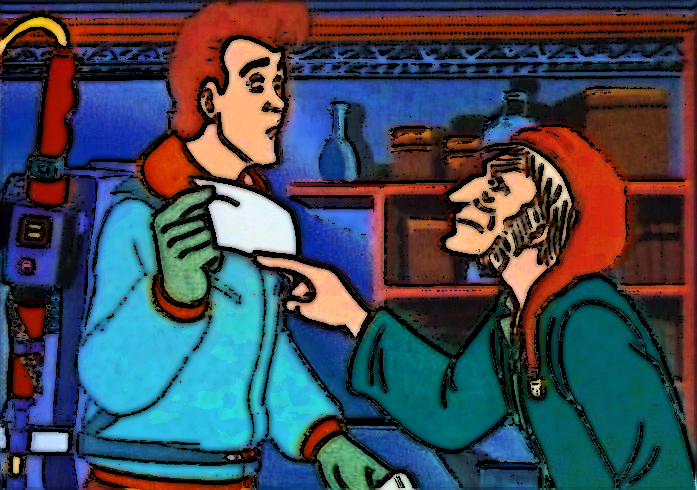 On a totally unrelated yet related note: for me there has always been a big What the Hell moment when it comes to A Christmas Carol, with Bob Cratchit and Tiny Tim going to get a duck… and is a something the size of a ‘baby duck’ that is prepared to be cooked for Christmas dinner… and the shop keep has the nerve to say he wishes Cratchit didn’t have to work for that old miser Scrooge… buy hey Scrooge is paying Cratchit, and one of things implied in a Christmas Carol is how there is not enough to go around which lead to Scrooge’s infamous line about coming up with ways to deal with the surplus population, which leads me to believe that the butcher shop keeper is price gouging due to supply and demand… on freaking Christmas Eve!